Construction is underway on Andy's House, a new palliative care unit that Hospice Muskoka says will serve the community in many ways. “Our goal is to partner with a community group to provide longer term support to families when they can't stay at home so they don't have to go to hospital. 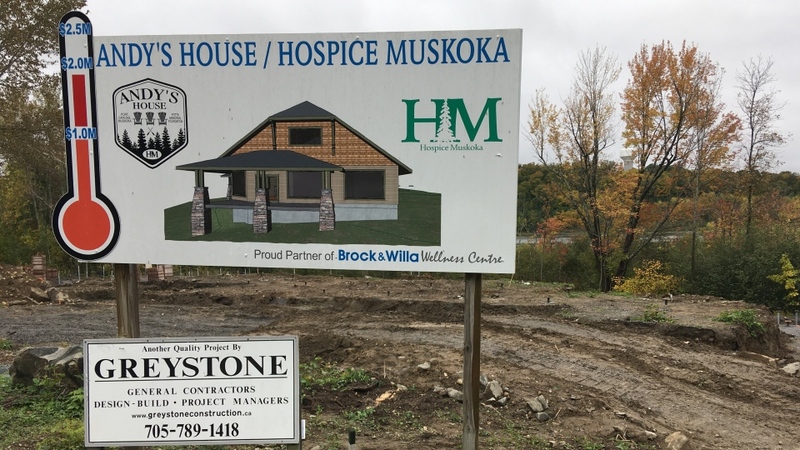 We'll have three hospice residential beds, we will have day programs for individuals living with life threatening illnesses,” says Sandra Winspear of Hospice Muskoka. Because the building site on the edge of the Indian River in Port Carling is marsh-like, the building will be constructed on a series of above ground pads. 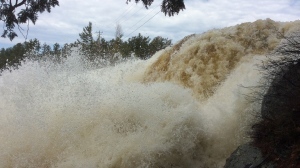 Andy's house is expected to assist many who currently have no choice but to turn to South Muskoka Hospital in Bracebridge for medical attention. The new hospice is named after OPP constable Andy Potts who lost his life in the summer of 2005 when the cruiser he and his partner Matt Hanes were driving hit a moose. Hanes survived and says Andy would be honoured to be a part of this hospice project. “He was born and raised in this area, he policed in this area, yeah who wouldn't like that. It's a legacy piece that I think is pretty cool. I think he would be amazed, quite frankly”. The 1.8 million dollar building is expected to be completed by next summer.